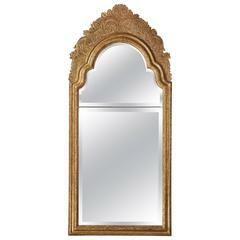 Continental giltwood mirror with original glass. 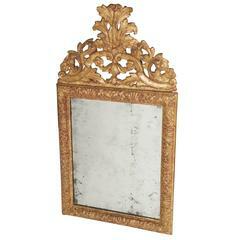 Handsome French Empire giltwood mirror with original plate. 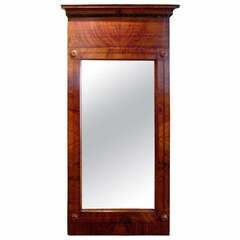 Continental flame mahogany pier mirror. 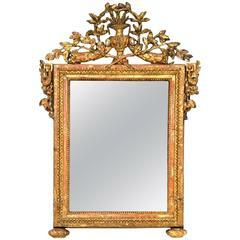 A Louis XVI painted and parcel giltwood mirror with original plate. Beautifully carved with lovely old color and patination. 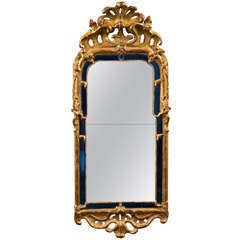 Regency style mirror with painted and giltwood decoration. 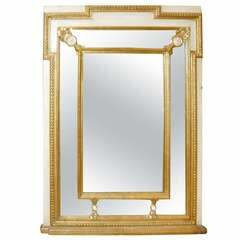 A late 18th century continental giltwood mirror having shaped bevelled cobalt mirrored conforming border. Some restorations. 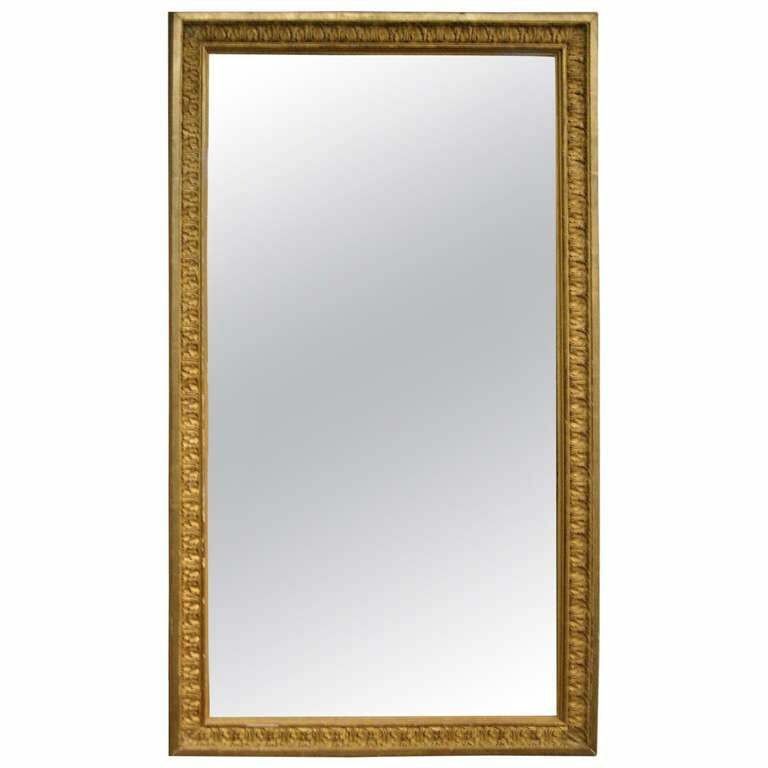 A very elegant Louis XVI mirror, retaining its original mercury mirror plate, France, circa 1780. 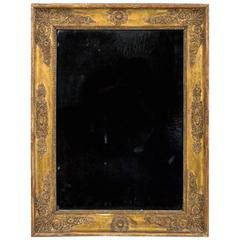 The original gilding wonderfully distressed. A rare piece.